The original Westminster Bridge was of an elegant design. Spanning one thousand two hundred and twenty-three feet of river, it was forty-four feet in width allowing for wide pavements and the passage of three carriages abreast. Until the early 18th century the only way to cross the River Thames downstream of Kingston was to pay to pass over London Bridge, or take a ferry or a water taxi. 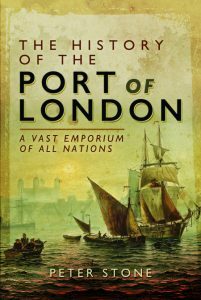 Any proposal to build a new bridge was immediately and vociferously opposed by the powerful forces of the City of London Corporation, which owned London Bridge, or the Company of Watermen, which upheld the monopoly of the ferrymen. In 1664 a proposal was put to the Privy Council for a bridge to replace the horse-ferry between Westminster and Lambeth, backed by the MP for Westminster. It was opposed by the Mayor of London and the Archbishop of Canterbury (who profited from the ferry). The City of London Corporation provided Charles II with a much-needed loan of £100,000 and the idea for the bridge subsequently went no further. A further proposal in 1721 had much the same fate, with petitions against it from the City of London, the Company of Watermen, the West Country Bargemen, the Borough of Southwark and the inhabitants of London Bridge. In 1726, however, Parliament was finally persuaded to pass an Act for the building of a bridge across the Thames between Fulham and Putney, for the convenience of travellers to the south-west. As the suburbs immediately to the west of the City of London continually expanded during the late 17th and early 18th centuries ever greater numbers of people were inconvenienced in crossing the river. The matter was once more put before Parliament by the Earl of Pembroke and an Act finally passed in 1736 for the building of a new bridge, as well as various improvements on both sides of the river. It was agreed that the ferrymen would receive £25,000 in compensation and the Archbishop of Canterbury twenty-one thousand pounds. Various locations were considered and it was decided to build the bridge from New Palace Yard on the Westminster bank. A state lottery was held to raise funds but it failed and four further lotteries held. When even those did not produce enough money the promoters of the bridge were forced to continually approach Parliament for additional funding. London Bridge had been constructed in the early 13th century and the crossing at Fulham was a simple wooden affair. No major bridge of a modern design had ever been built in or near London, so the Commissioners of the Act had to find an engineer with the necessary skills to undertake the work at a reasonable price. Several of London’s architects, including the elderly Nicholas Hawksmoor, John Price (then building St.George’s church at Southwark), Batty Langley and John James, all provided opinion and drafts but none had the necessary experience that was required and were probably too expensive. The initial idea was to build the bridge of stone piers to support a wooden structure and the Commissioners turned to a Swiss-born engineer by the name of Charles Labelye, an expert on land drainage and harbour works, then working in England, who was able to produce a cost-effective plan. The Earl of Pembroke, an amateur architect who had been closely associated with the initiation of the plans, laid the first stone at a ceremony at the beginning of 1739. After the first two piers were completed the Thames froze over for two months and they became an attraction, with people walking across the ice and climbing up them on ladders. (The event was recorded in a landscape painting by the artist Jan Griffer which now belongs to the Guildhall collection). During the pause in work caused by the freeze, those with greater ambition for the venture pushed for it to be made entirely of masonry instead of wood. Andrew Jelfe and Captain Samuel Tuffnell (the latter being the mason to Westminster Abbey) were hired as master builders to work under Labelye. Large trenches were dug into the river at low tide which were then filled with timber boxes, part-filled with masonry. The boxes were sunk into the holes, water pumped out and further masonry added. Piling was undertaken using a horse-powered machine invented by a Swiss watchmaker. The bridge was finished in brick, Portland and Purbeck stone. The artist Canaletto created his famous painting of the bridge while it was under construction. He included a number of features that were planned but never implemented. Those errors were repeated in his later depictions and even copied by other artists. Just as the finishing touches were being put to the work one of the piers began to subside, causing a large amount of extra work and a delay in completion of several years. The original budget was £90,000, yet the final cost was the vast sum of almost four hundred thousand pounds. After twelve years from its start the bridge was finally complete and opened in a midnight ceremony in November 1750, with celebrations at the new Bear Inn on the Westminster side. In its first few days it was such a great attraction that many people could only cross the river by ferry! The bridge was a public enterprise and therefore toll-free from the beginning. The final structure of fifteen arches was an engineering and design masterpiece of its time. Along the parapet were alcoves in which to shelter. The bridge authorities employed twelve watchmen to ensure nothing untoward took place within them at night or for tradesmen to set up stalls. The dirt carriageway required constant watering during summer months to prevent dust. It was originally lit at night by thirty-two oil lamps, later replaced by gas lamps. The bridge had ramifications due to the need for new roadways leading to it on either bank. At Westminster many of the old, squalid houses in narrow streets around Old Palace Yard were demolished and replaced. Parliament Street was laid out in 1756 and Whitehall widened. On the Lambeth side Westminster Bridge Road was laid out eastwards to connect it with Borough High Street. When Blackfriars Bridge was opened in 1769 a roadway was continued southwards from there to connect with Westminster Bridge Road at St.George’s Fields, with the junction known as St.George’s Circus. Labelye was handsomely rewarded for his work but found himself abused by jealous Englishmen, never writing the book of the venture he had planned, and left for France after work was completed. The handsome structure became one of London’s internationally recognized tourist attractions, with many artists making contemporary paintings, including by Canaletto, Samuel Scott and William Marlow. In 1802 it inspired Wordsworth to write his poem Upon Westminster Bridge. The original Westminster Bridge lasted until the 1850s by which time it was suffering from structural problems requiring it to be replaced by the present version. Sources: Peter Matthews ‘London’s Bridges’; John Richardson ‘The Annals of London’; John Summerson ‘Georgian London’; National Views of London (1835).